Sohan is a small town boy who has recently migrated to a metropolis. He is from Keonjhar, a lesser known place from the lesser known state of the country. He seems to be an extremely interesting subject, with loads of interesting subjects for us to explore within him as he explores the world outside. Sohan is just 19 years old and has come to this mega city to study Fine Arts. He seems like a very fun person for his friends- really hep and happening and definitely not easy for anyone to guess that he is from a different culture. I heard of interesting issues through common friends who belong to the same community and are otherwise perceived as shy, quiet and dumb. I got hold of Sohan in the lobby of his art school and had a pretty good chat in the college cafeteria. Below is excerpt from our conversation. I wondered for a while, this guy doesn’t seem to have any issues in life presently. Then where the hell did the issues, mentioned by our common friends, come from? His life sounded too perfect to be true and I was determined to know more. I continued my interrogation. “What do you like about them? “Aaahhh! I see..! So you think dark people from your community are boring? Hmmm. Fair enough! I wondered. And he was not entirely wrong, though. I could relate to it myself and my observations in the past. Being of fair skin is definitely a confidence-booster in the Indian community! Suddenly the universe started making sense to me and all its secrets were revealed!!! The fair skinned child gets the parents’ preference, the teacher gives him/her the benefit of doubt and everybody notices them in admiration. They are perceived as superior and rich. So naturally, just being fair-skinned can give a lot of self belief. Therefore, in India, being fair is 70% battle won! That was just my opinion but without a proof, though. So does being from the north simply seal the deal? Clearly so! People undoubtedly admire the northern race & thats why, probably, this race dominates the media & entertainment industry, particularly on-camera exposure. I did a research where I listed the names of all the people whose photos appeared on glamour magazines, advertisements & newspaper segments over a period of 1 month. The photos included those of film stars, sportstars, models and other celebrities. Then I traced all their roots to their place of racial origin. Not surprisingly almost 85% of the people were either from around the region in and around Punjab (punjab, haryana, delhi, kashmir) or of persian origin (afghan, sindhi, parsi) or westerners (spanish, italians americans etc). The rest 15% were non-north indians who either had north indian appearance or had achieved well for themselves. As I conclude this story, I don't really have a conclusion. Should I pity youngsters like Sohan for not being confident enough to be proud of their community? Or should I pity the majority of Sohan's community for looking the way they are and just hope that they understand that life might be slightly tougher for them? A new & innovative online platform is ready! It brings the true essense of rural india through loads of videos and packaged as an exciting board game where each number leads to a video and has a game play. Cool, isnt it? I am the Executive Producer & visual designer. India is getting more and more unaffordable. A decently clean residential locality is unaffordable. Healthy organic food is unavailable. Clean water is luxury. Clean air is a thing of the past. Coming into this metropolis as an outsider, life does not seem worth living. Suddenly a clean & healthy place, instead of being natural and free, comes with an unaffordable price tag. Suddenly all one thinks about is money! I had a friendly casual discussion with few youngsters of age group 17-20 in Mumbai and below is an excerpt. My question to them was "What is the meaning of money in your lives?" "How much money do you want?" "That doesn't answer my question. Okay share me some of your important goals on your wish list that money can buy"
" Ok. I want a car"
"Cool. A Nano? Or Swift"
"I want enough money for 2 world trips for my parents"
"Thats it? No Africa, South America?" "I want to just get away from this chaos of Mumbai"
"So why not Himalayas, or Leh or some other place if you just need to go to a peaceful place?" I stopped the conversation there. "I want 100 crore rupees"
"I want a house in Colaba and a Ferrari"
"Cool. How long do you think you would take to earn such an amount in reality?" 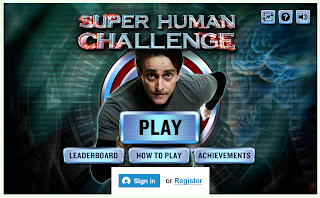 I didn't understand anything from this. "I want 30 crores to start a business and I can earn it back in 4 years"
"Ok. What have to done so far?" "Well at least I have thought about it!" "I want to gift my mom"
"Does she travel a lot to LA"
"Have you folks ever been to USA"
"Then why do you think she wants a flat in LA?" "Don't know. I just think she would be happy"
"Do you know that a flat in LA would be expensive even for an average american citizen?" This seems to be the wishful desires of many youngsters in India - to dream to possess exceedingly expensive materials outside of India. - to dream to be a billionaire before earning the first salary. I hope the government listens to this and creates an India for the youth. Or am I wrong? Is the responsibility on the government or does the youth just have a bunch of super idiotic and baseless ambitions? Please leave your comments. There is a lot of fashion going around the world. Indian fashion is getting more and more global. Many of our traditional outfits are being given a fusion look, to westernising them for contemporary use. But for most Indians, the western outfits look like total misfits. The western outfits are as alien on the indian body as indian ethnic wear is on foreign bodies. So is there an evolution of fashion along with human evolution that supports the opinion that "a person looks most attractive in the traditional clothes of his/her root community"?? Are we, Indians, trying too hard to fit into that western wear that is probably not meant for us and trying to compete with our western counterparts? Or do we just have a terrible sense of fashion? As much as I appreciate foreigners in Indian attire, I have always felt that Indian attire doesnt suit many non-Indians. A white blonde woman looks too pale for a rich, colourful indian saree or salwar kameez. Similarly a white man looks equally foreign to an Indian dress, be it sherwani, kurta-pajama, dhoti or lungi. The same stands true for a black person or asian or any other race. It's not just about colour combination. I strongly feel that its also about race as well. A salwar suit just seems like a loose misfit on tall, slender and (sometimes) athletic white women. They also dont look very convincing on a short haired african woman and many times too tight to fit into. No woman can look sexier in a saree than an Indian woman! Why is that? Every community's clothing has evolved over a long period of time depending upon various factors such as body shape, colour, climate etc. Most of us are mix between the aryan and dravidian race over last few thousand years. We have coloured skin. We have smaller heads, rounder face, bigger eyes, smaller foreheads, bigger lips, less sharper nose etc compared to white race. We seem to have a tendency of putting on fat around the face and other parts of body and this becomes prominent due to our short height. All these seem to be beautifully hidden under our traditional clothes and we look so attractive in ethnic wear! But many of us look so ugly trying to fit into western wear. The aryan race up in extreme north India is genetically close to european race and that's why, probably, people from that part of India can fit into both- the indian and western wear. But for most of us, the western wear doesnt seem to be the solution. A large portion of Indian youth feels rejected at the thought of not looking as good as an average westerner even with the latest fashion on. Is there a solution for 'Indianising' western outfits for indian race? Is indian fashion only made for the north indians? Are we demoralising the Aryan-dravidian mix race people and dravidian race people by promoting fashion that seems to suit only the Aryan featured people? DGMC Promo from Saswat Mahapatra on Vimeo. Showreel Aug 2013 from Saswat Mahapatra on Vimeo. This is a compilation of all my work- animated and produced for various brands. Hope you enjoy it! To view all my individual videos/animation (on VIMEO), click here. The above is an edit-based promo that I made for Disney Channel, India, way back in 2009. 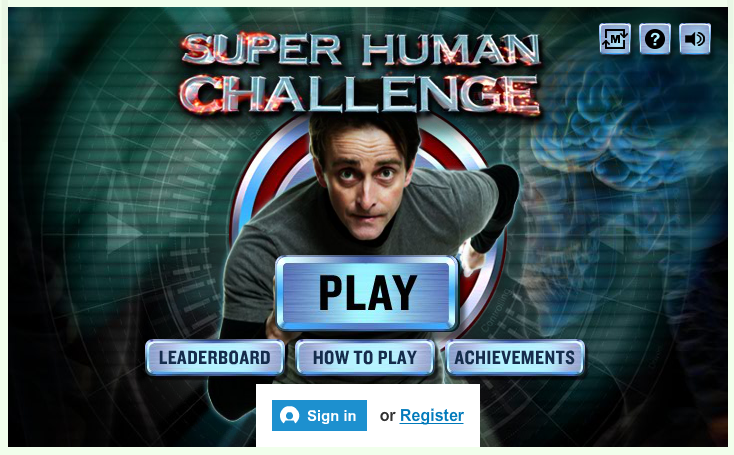 During my stint at BBC Scotland, I was part of the production & pitching team towards generating ideas for developing a series of online games for the show "Super Human Challenge". These ideas have already been developed into games that can be played here. 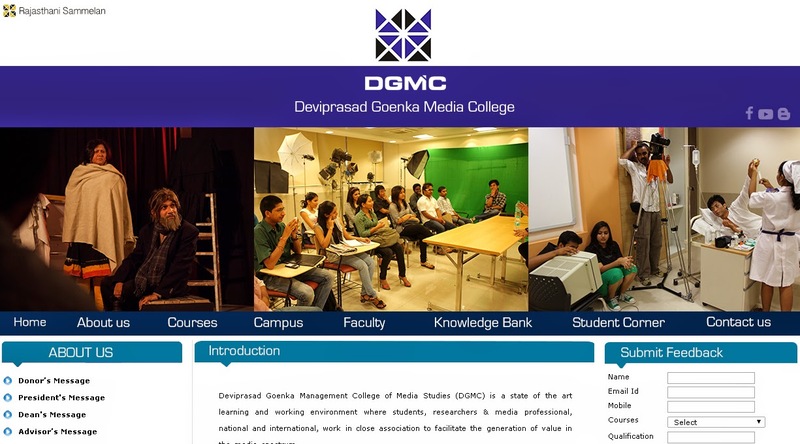 So, the DGMC website needed a revamp. 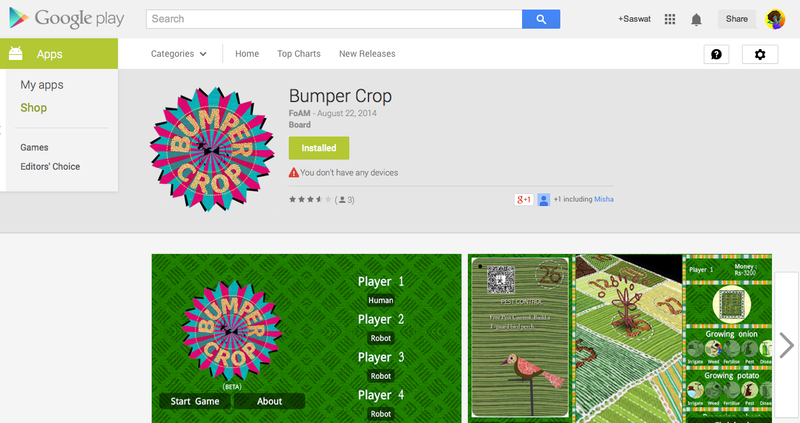 Although we proposed a brand new website, the management needed something immediately. So, I just redesigned the existing one. Below is the one that is finally chosen. 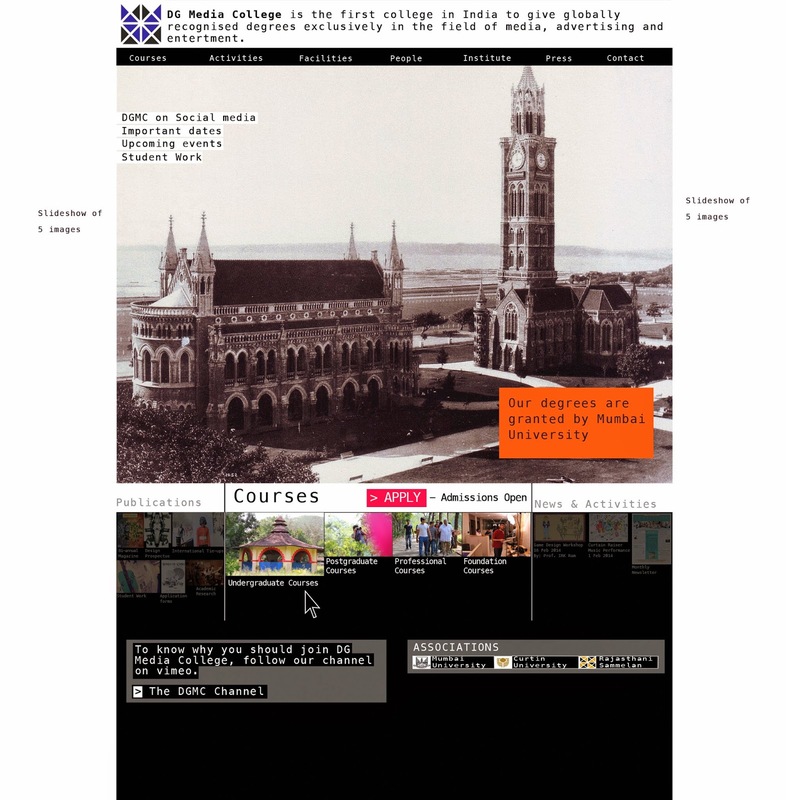 The one below is the existing website. He! Below is another option provided by me. So, this one (below) is one of the proposals for a brand new website. Sadly that's on hold.